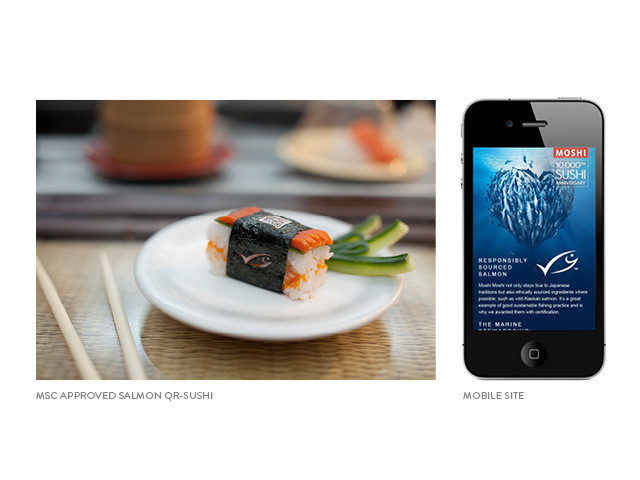 The solution is to trace where the fish was caught and to do that a sushi that contained edible squid ink QR codes and laser-cut nori to form the MSC eco-label were created. The codes linked to a mobile site revealing where the fish was caught and documentary content, helping diners to make informed choices. i have a idea now thanks for you. This is truly a good idea. I think there are lots that will scan the code. If nothing else, they will scan it because they are sincerely interested in knowing the answer, otherwise they will scan it for fun. If you are looking for a great QR management system, I can recommend http://www.zumoqr.com. I love this idea. Just scan barcode QR code for fun.